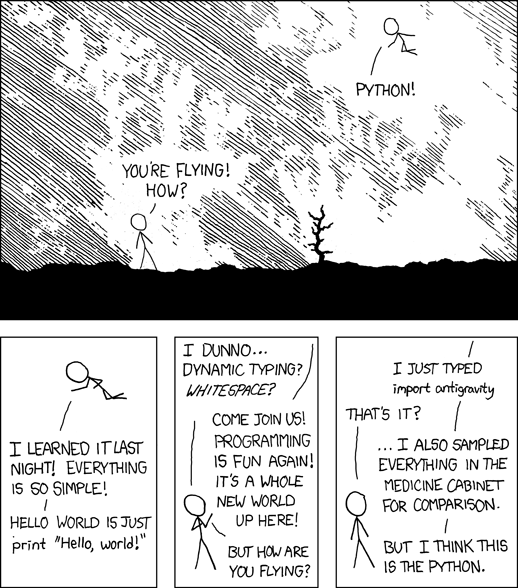 Databases taste better with Python. Oops, I've been forgetting my blog badge. Bruce Eckel will be in charge of Open Space this time, which means it should be something else. Come with ideas for what you want to do with Open Space. OK, I lied. But how could I have known this was coming?